Hi, Good Morning. Thank you, friends and viewers. Today I will post how to make muri mixture recipe. It is served in Vizag beaches. I love water and huge water bodies, lakes, rivers, and beaches a lot. Whenever we go to Vizag, a coastal city in the state Andhra in South India, I make it a point to visit the beach. I love to watch tides, big and small. Love to play in the sand and play with the tides. Last Friday evening Sahiti and Itihas does not want to drink their daily routine milk. They want something else to eat and it should be spicy also. They recollected all those visits to the beaches and asked for such kind of snacks, OK, let me try this. And the result is awesome. Both of them liked it very much. 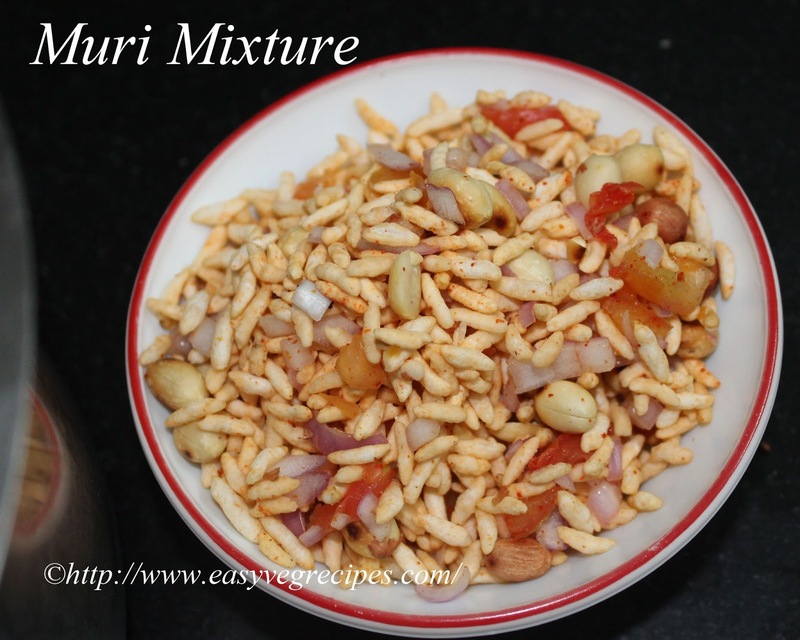 Very simple and easy evening time snack item. No prior preparation is required and needs no cooking also. Simply chop tomatoes, onions, and green chilies. Mix all the ingredients and sprinkle some lemon juice. That's all we need to do. 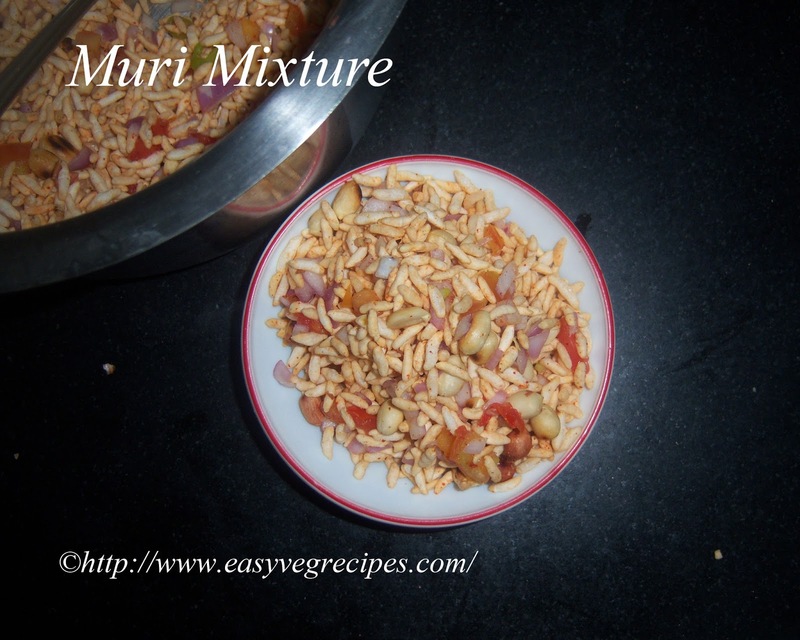 During summers we can add some chopped mangoes. In those parts, we get ginger called Mamidi Allam. Mamidi is mango and allam is ginger It appears like ginger but the taste is like mango fruit. We can add it also. Here I get it very rarely, so I did not added here. 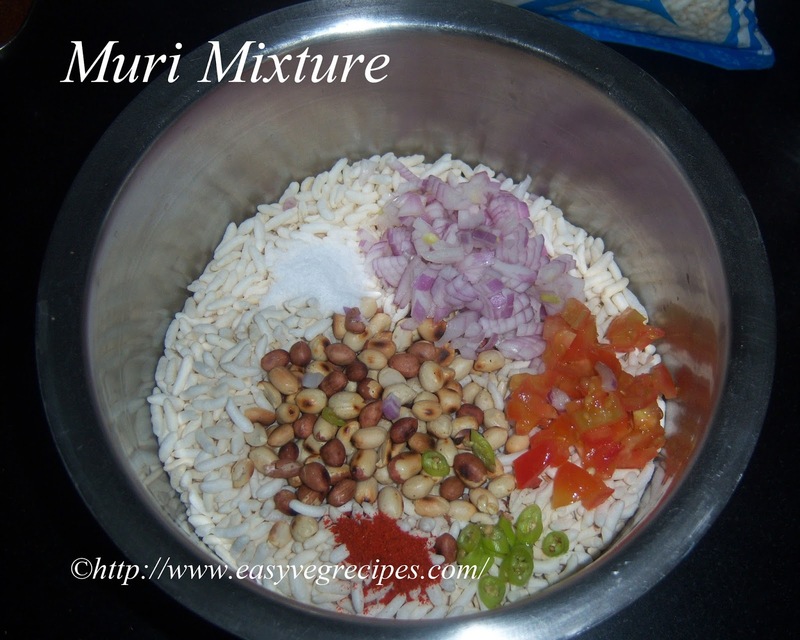 Muri Mixture -- A simple concoction of puffed rice and other ingredients. HEat kadai and dry roast groundnuts and remove the skin. Chop tomato, onion and green chillies. In a big wide vessel, add all the ingredients except lemon juice. Mix them well so that all the salt and red chillie powder coated perfectly. Sprinkle lemon juice of 2 to 3 lemons. It depends on the quatity of juice we extract from them. I had to squeeze juice of only one lemon, as it is very juicy. But at times we end up in adding three or even four lemons also. Sprinkle some chopped coriander and mix well and savour it. 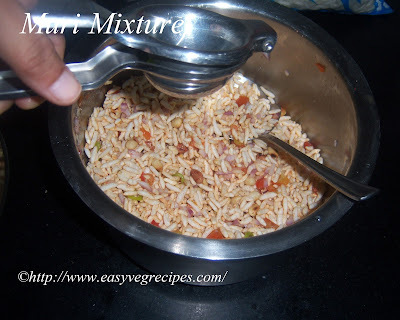 For more street food recipes click here.Thank you for visiting my blog. Hope you liked all my recipes. Any feedback and comments are appreciated.